The Invetero Coquette is a sports car that appears in GTA 5 based on Chevrolet Corvette C7. The Coquette’s engine in GTA 5 very similar to the Chevrolet Corvette (C6). The Coquette was first seen in the official trailer of GTA Online, and now more closely resembles the Chevrolet Corvette C7. 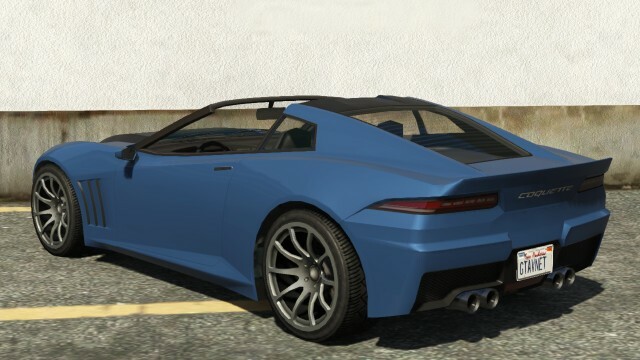 Some Jaguar F-Type and Lexus LFA influences are visible in the rear (with taillamps slightly similar to the Benefactor Surano, another ingame car). It’s available as both a coupe and a roadster form with a removable hard top. The Invetero Coquette has the most customizable options of any car in sports car class, and is one of the most customizable cars in Grand Theft Auto 5. This car is the only convertible that has the roll cage customisation available. This is most likely because you can buy a roof at Los Santos Customs, but even without the roof, the roll cage is still available. The Invetero Coquette has perfect performance for a sports car. The car handling is excellent and It has a great top speed to go along with above average acceleration, possibly the best in its class, due to its high traction balanced with medium weight. The car grips the road very well and rarely ever spins out. Although it isn’t bad by any means, the Invetero Coquette‘s acceleration could be considered its main weak point. 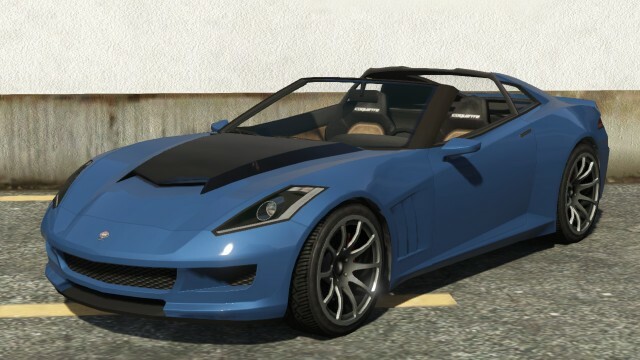 The Invetero Coquette can be encountered in and around Vinewood and Vinewood Hills along with other sports cars, supercars and SUVs. In the mission Fresh Meat, after you freed up Michael, you can choose the Invetero Coquette as your escape car. Sometimes spawn at Richards Majestic during certain missions. Sometimes spawns at the Kortz Center parking lot in Pacific Bluffs. Sometimes, The Invetero Coquette spawn in Del Perro Beach at the parking lot.